A Pakistani official says the death toll from a suicide bombing at a mosque has risen to 36 after several of those wounded in the attack died in hospitals. Pashin Gul, the head of the tribal police in the northwestern Mohmand region, provided the updated toll on Saturday, a day after the bombing. Several children were among those killed and wounded in the attack, which targeted weekly Friday prayers. The initial toll provided by officials was 24 dead and 28 wounded. Some 200 worshippers were inside the mosque when the bomber struck. 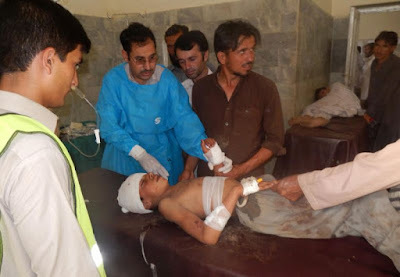 A breakaway Taliban faction knows as Jamaat-ul-Ahrar claimed responsibility for the bombing, saying it targeted members of a pro-government militia. According to reports from Pakistan.